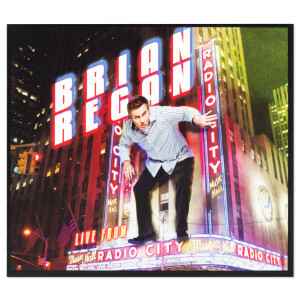 Brian Regan reinvigorates comedy with his new live stand-up special, Live From Radio City Music Hall. He describes the ups and downs of being a working at a restaurant, demonstrates the awkwardness of going to a new doctor and challenges the common notion that you shouldn't grocery shop when you're hungry. Anything could happen, so expect lots of Regan's signature high-energy social commentary. I’ve been a huge Brian Regan fan since “There’s Something Wrong With The Regan Boy.” Always hilarious, always smart. Happy to have all of his cds and dvds. Brian Regan is always so funny but this CD is not my favorite....And, I wish his DVDs had closed caption so my Dad could watch them with me. He would be rolling on the floor but he can't watch anything without closed caption.